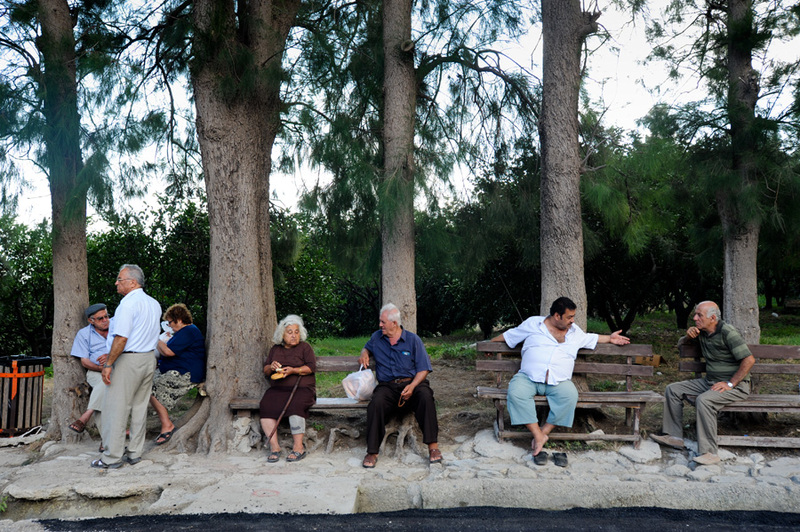 Villagers congregate on benches nailed to tree trunks across from the coffee house. Beyond the trees is the Mediterranean Sea. 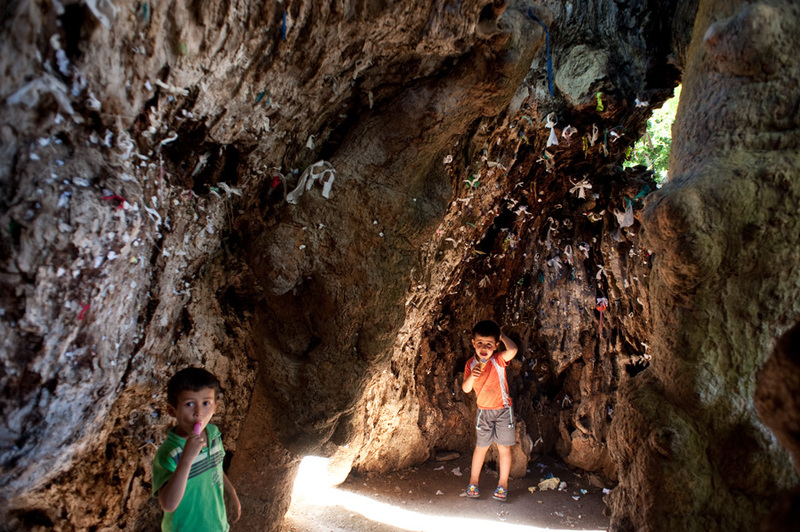 Turkish children play in the trunk of a 1600-year-old maple tree in Hıdırbey. According to legend, the tree, known as “Musa Aǧacı,” or “Moses Tree,” grew out of Moses’s staff when he laid it down to drink water from the river. 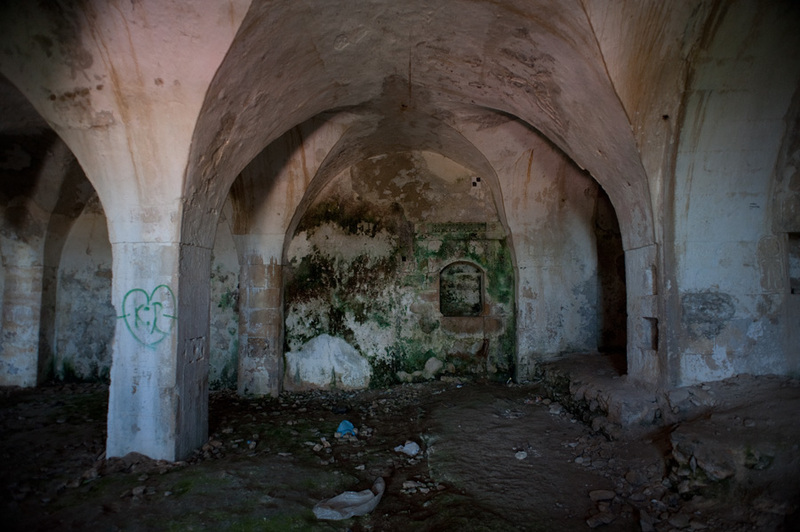 An abandoned church in Yoǧunoluk stands as the foundation for a mosque. 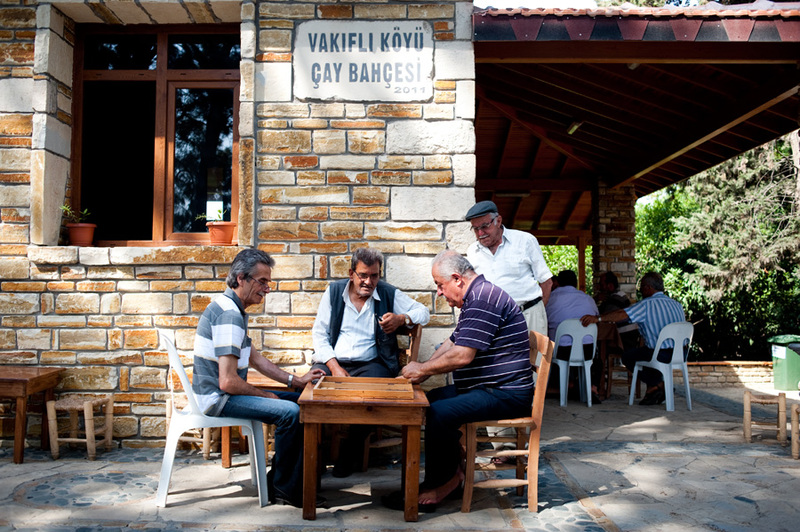 Hıdırbey and Yoǧunoluk are two of the six villages in the area near Vakıflı that used to be Armenian. 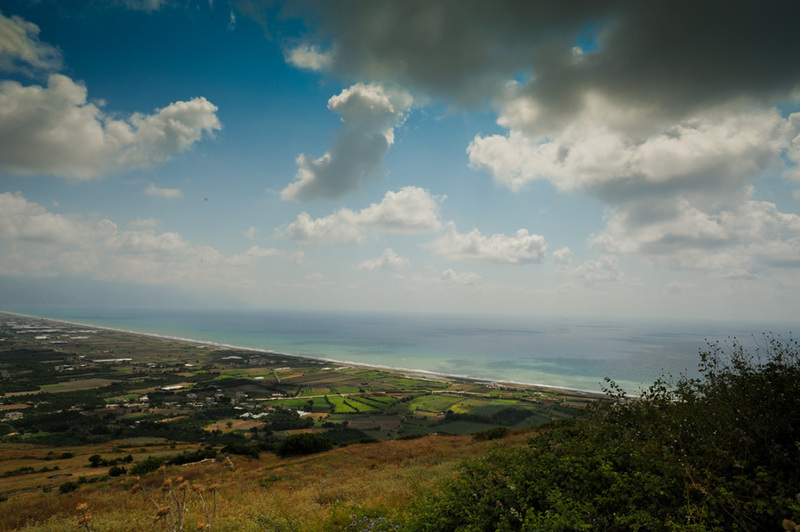 In 1939, when Hatay joined Turkey, most of the Armenians decided to move to Lebanon. 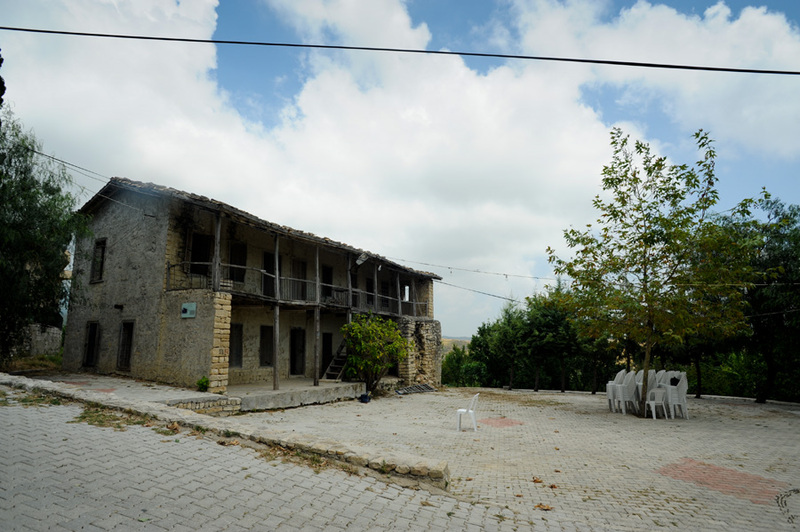 Vakıflı is the village of those who remained. 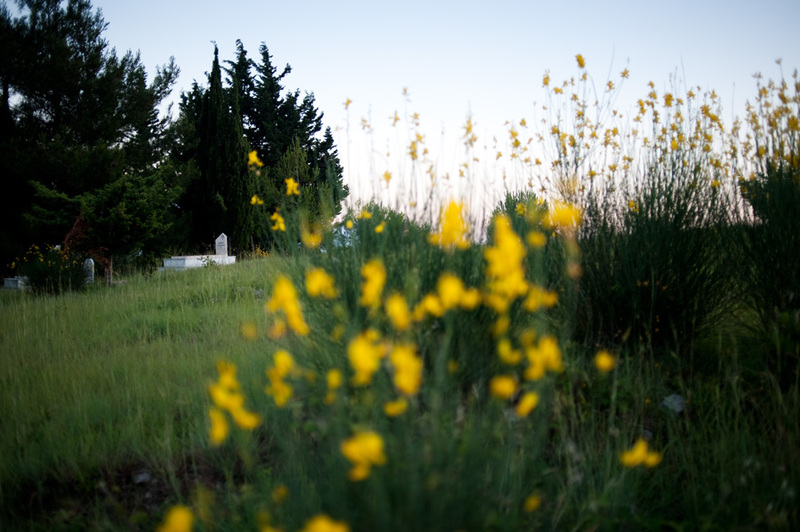 The village cemetery is seen through weaver’s broom, a shrub native to the Mediterranean region. 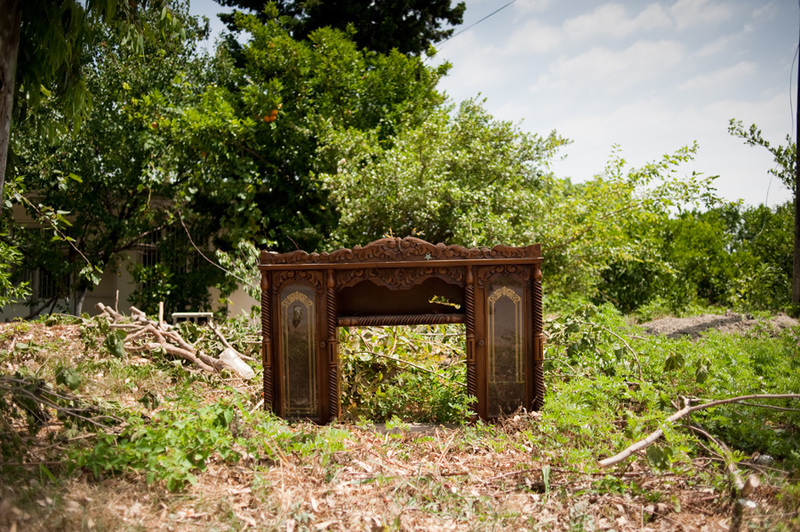 A hand-carved piece of furniture is thrown out as trash at the southern entrance of the village. 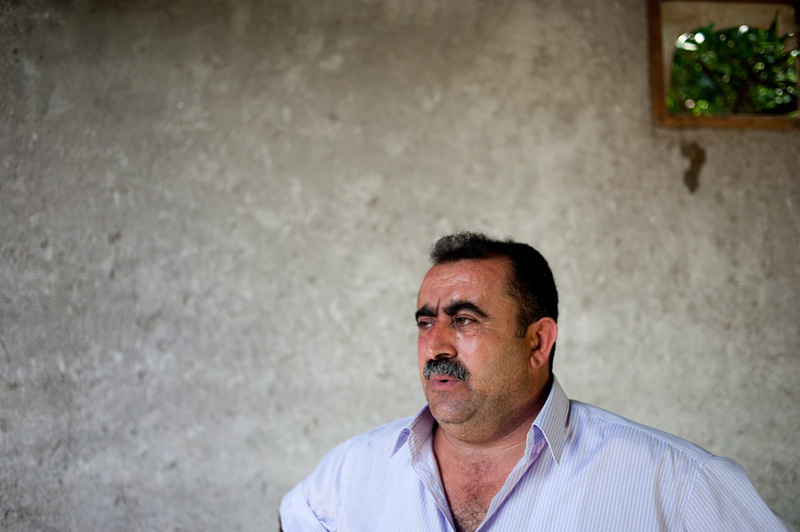 The elected village headman, Berç Kartun, resents the summer heat. 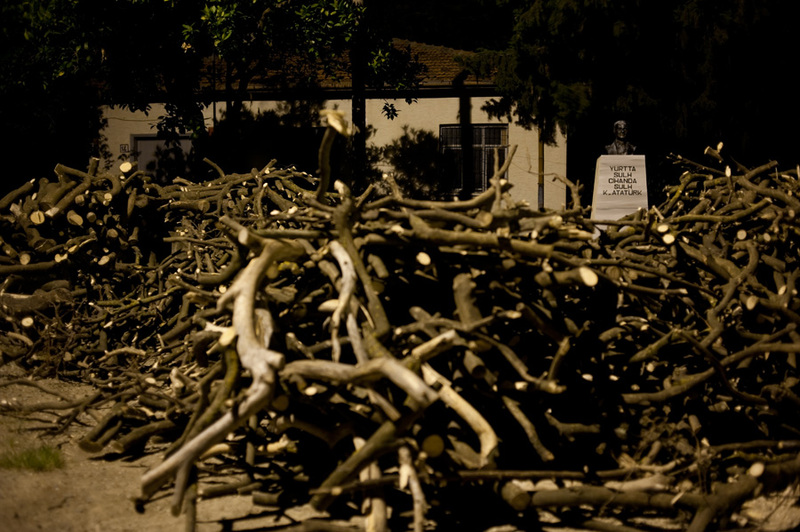 Excess branches are stored in front of Berç Kartun’s office, which used to be the village school. There are not enough students to keep the school running. A 19th-century structure belonging to Sultan Mahmud II’s Waqf (Foundation).It is currently protected as a cultural entity by the General Directorate of Vakıflar, the modern continuation of the Ottoman Waqfs. There are plans to convert the building to a motel. It was previously used as a school and a residence. 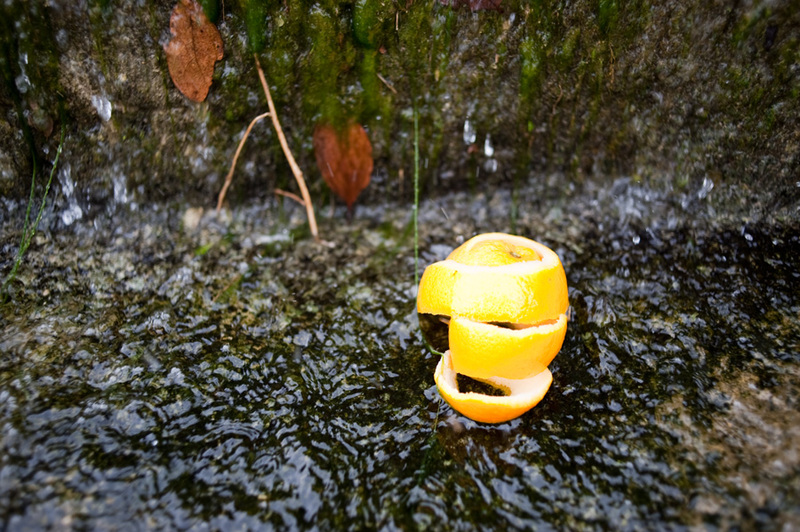 An orange peel floats in the village’s irrigation canal across from the protected building. 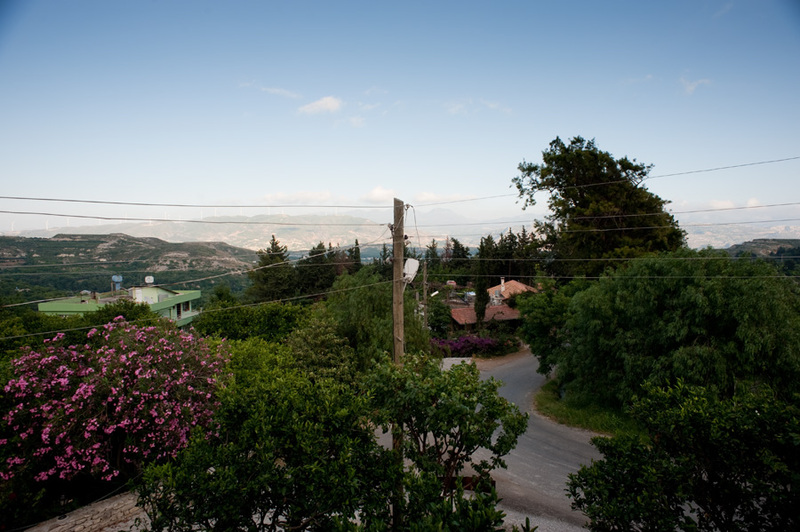 The water that irrigates the orange trees in Vakıflı comes through a canal from the northern village of Hıdırbey. 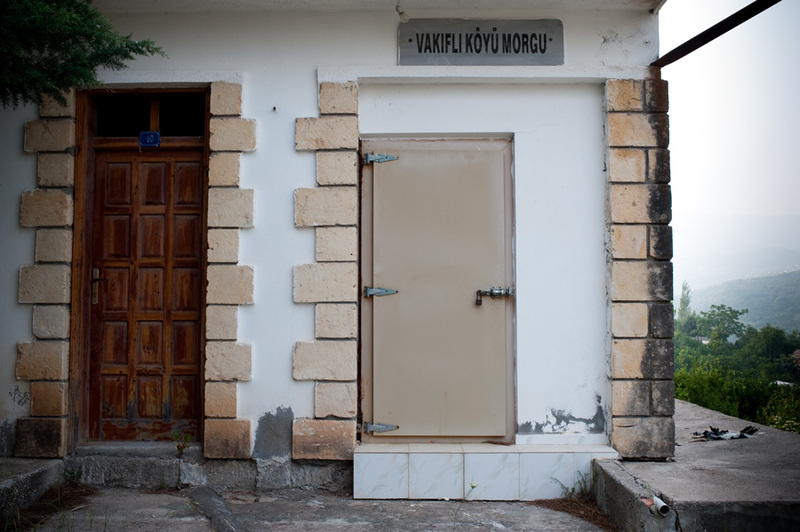 The village morgue near the cemetery. The view from the balcony of the Kuş family’s house. 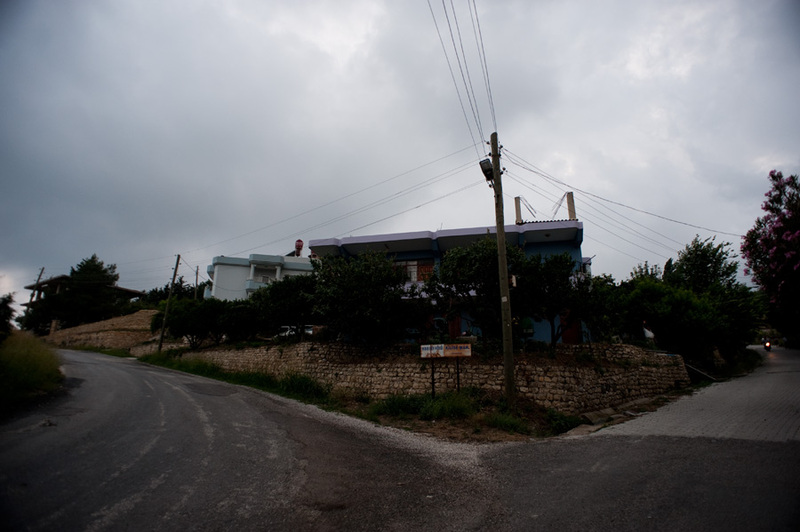 The Kuş family’s house is seen at the Hıdırbey and Kilise Mahallesi (Church Neighborhood) junction.